As a minority within Canada, Quebec is fiercely protective of its culture — but this leaves other minorities within Quebec itself with nowhere to turn. Secularism in Quebec is "used to mask racism," says a writer based in Montreal. Idil Issa, a board member of Fondation Paroles de Femmes, points to Bill 62 as an example. "How is it that in our society we tolerate restricting the rights of these women on the basis of their appearance," she asks, "and then say that this is all about secularism?" The law was set to prohibit women from wearing face coverings while receiving public services, but was stalled by a judge in December. "I think what's really going on is that this group is marginalized enough that we feel able to push this through. And nobody is going to be able to do anything about it." Lise Ravary, a columnist at Le Journal de Montreal, thinks the bill was a political ploy. "There is probably not even 100 women in Quebec who wear niqab, but it was easy to pick on them, right?" she says. "But at the same time Bill 62 doesn't say you can't wear your niqab in a public place," she says. "It says that if you are getting a service from the state you have to show your face." These tensions around Bill 62 play out against the backdrop of Quebec's special status, as a French-speaking minority within Anglophone Canada. Living within Quebec, but outside the dominant white, francophone culture, is to live as a minority within a minority. Many Quebecers struggle to acknowledge these layers because they are afraid of 'Quebec-bashing', says Haroun Bouazzi, the co-president of the Association of Muslims and Arabs for a Secular Quebec. "White francophones are both a majority that is privileged in Quebec, and a minority that historically has been racialized based on their culture, on their religion and on their voice," he says. "They're extremely scared here — if they denounce racism — that it will be used by the rest of Canada to actually racialize us, as Quebecers, saying: 'Obviously it's a culture that is racist.'" Ravary says that Quebecers can be reluctant to embrace outsiders, because they feel their own culture is under threat. She also points out that Quebec only started taking control of its own economy and institutions 50 years ago, and that "it's not a long time ago when the people of Quebec saw themselves as being oppressed." "I'm not saying… 'well it's okay, let's let it go, because it's young,' but I think it does explain why this skittishness, that you will not see maybe elsewhere in Canada, you're going to see in Quebec." 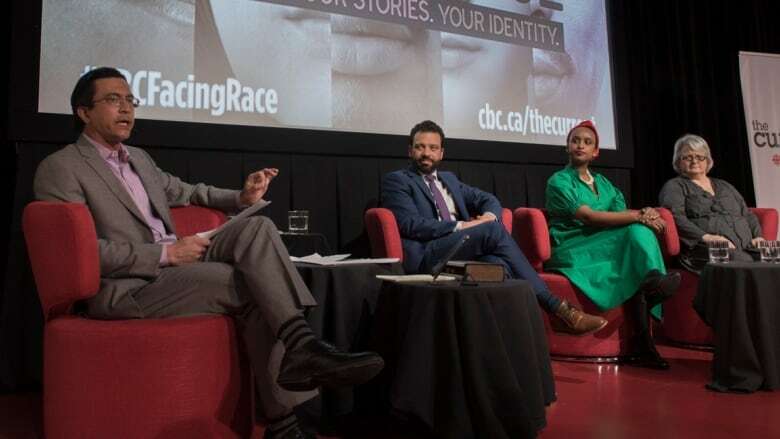 The province had planned a consultation on systemic racism, but after political pushback it was reduced to a one-day forum to discuss jobs and diversity. Ravary believes the term "systemic" doomed the project from the start. "The problem was not that people didn't want to talk about racism, the problem was a word — systemic — that most people did not understand." "They felt it was aimed at them, that Quebec was going to be on trial." Issa disagrees, arguing that political leaders should be reminding people what these terms mean and why they're important. "I think when you're dealing with minorities, when the conversation isn't at the stage where you can have a populist impetus for change," she says, "you need to have political leadership — people who are willing to do the right thing." 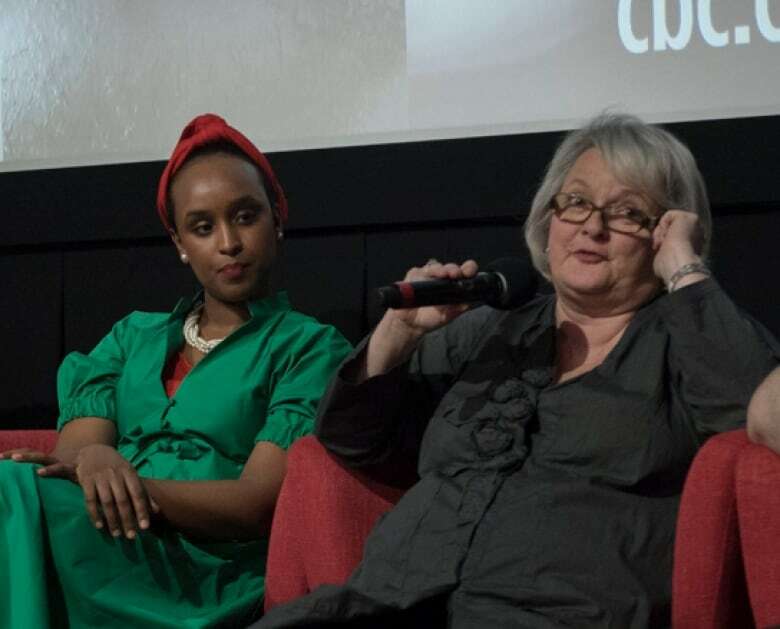 The Montreal town hall event on race relations in Canada was produced by The Current's Yamri Taddese, Pacinthe Mattar and Ruby Buiza.